Mark Bourne now ranks 6th after his Sydney Tower Stair Challenge win. 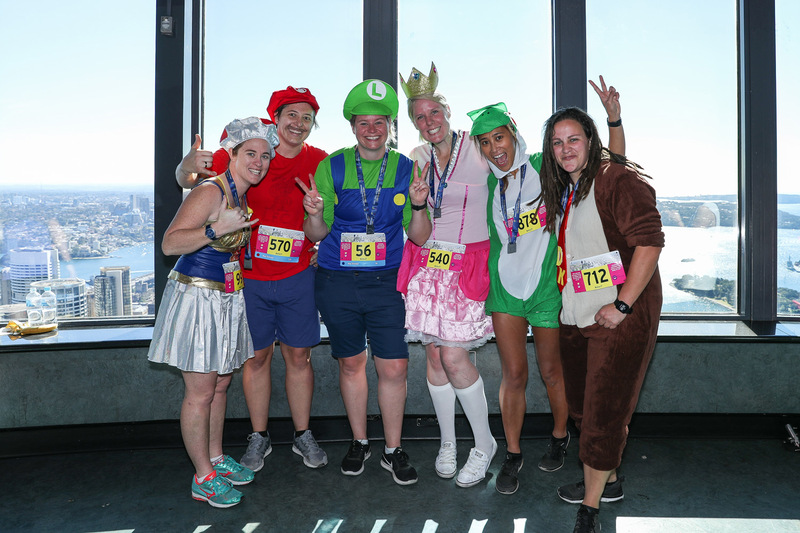 It was the turn of the 2017 Sydney Tower Stair Challenge, seventh stage of the ten-race Vertical World Circuit, Sunday, August 27, following on from Saturday’s Beijing event. More than 1,000 participants climbed the 1,504 steps to the Observation Deck of the iconic Sydney Tower Eye, the city’s tallest building. Fastest to the top were Vertical World Circuit top ranked runners, Australia’s own Mark Bourne and Alice McNamara who summited in 7’27 and 9’26” respectively. Alice-McNamara, 2017 Sydney Tower Stair Challenge winner now ranks 7th on the VWC rankings. The standing course records remain intact by Australians Paul Crake in 6’52” in 2002 and Suzy Walsham, 8’24” in 2013. After racing the Manila leg and his win here today, Bourne now places sixth on the 2017 Vertical World Circuit rankings and McNamara is seventh. 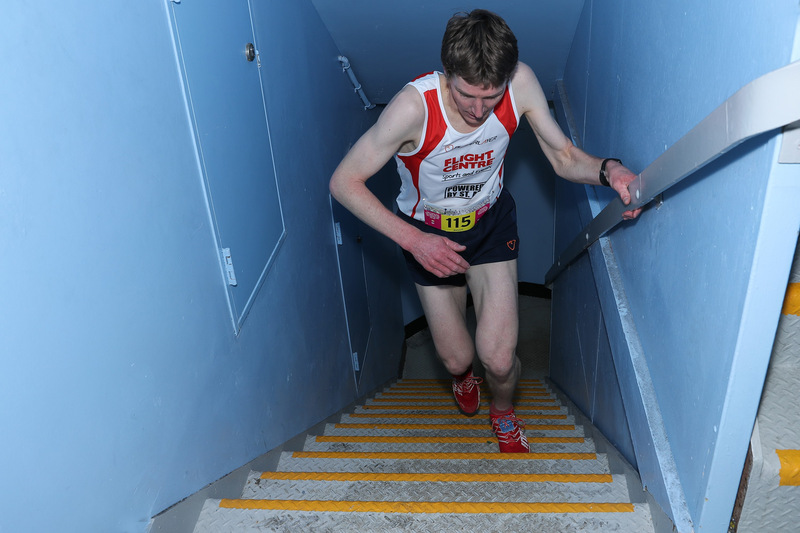 With the Sydney Tower Stair Challenge now one of ten races in the International Vertical World Circuit, this year’s two winners, Mark Bourne and Alice McNamara, have now secured their spot at the circuit’s 2017 Grand Finale, to be held in Hong Kong this December. 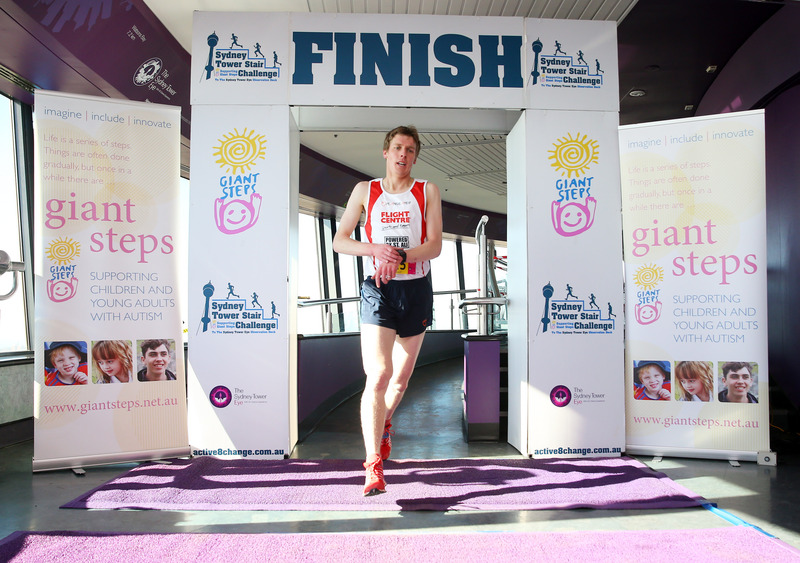 Mark Bourne on his way to victory at Sydney Tower Stair Challenge. 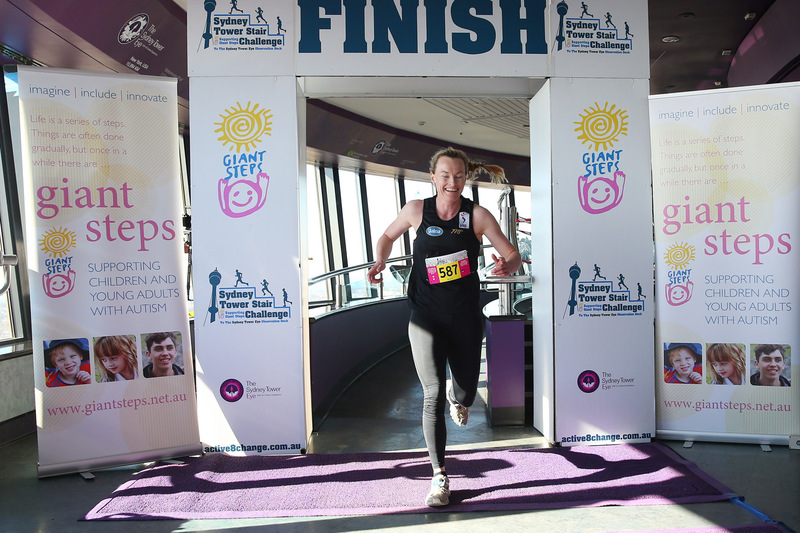 “Since our first event in 2013, the Sydney Tower Stair Challenge has gone from strength to strength every year. The combination of a serious challenge, raising money for children with autism and Sydney’s most spectacular finish line is definitely a winning combination,” says Director of Active8Change, Steve Corrie. Governed by the International Skyrunning Federation, Sydney’s tallest vertical run was selected as Official Race for the 2017 Vertical World Circuit (VWC), the world’s premier skyscraper racing circuit uniting some of the most iconic skyscraper races, including the One World Trade Center in New York City. Some of the fun at the Sydney Tower Stair Challenge to raise money for charity. The Vertical World Circuit now heads for Shanghai on October 22, new venue Osaka and the grand finale in Hong Kong on December 3 at the SHKP Vertical Run for Charity: Race to Hong Kong ICC where the World Champions will be crowned and the VWC end of season bonus prizes totaling 106,000 HKD will be awarded.